Russian cargo carrier Sky Gates Airlines has taken delivery of its second Boeing 747-400F freighter under an operating lease contract. The aircraft, VP-BCH, joined the operator’s fleet after a so-called bridging-check, an inspection performed on an airliner before it changes hands, the airline told Russian Aviation Insider. The aircraft has already entered revenue service with the new operator. Its main base is Heydar Aliyev Airport in Balu, the capital city of Azerbaijan, which was selected for its beneficial geographical location. The aircraft operates regular flights to Maastricht and Hong Kong, and also performs charter flights to destinations across Asia, the airline says. 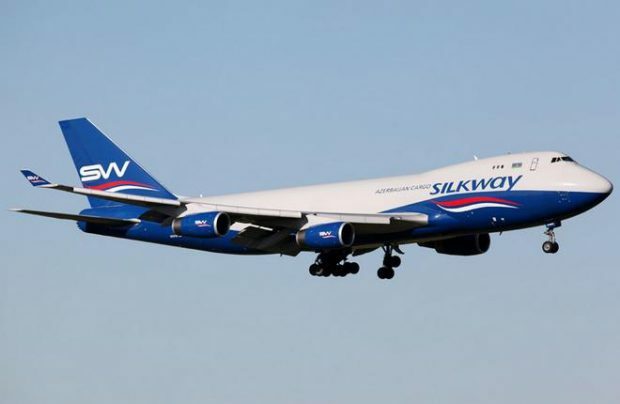 The operator’s newly arrived Boeing is 17 years old, and was previously operated under the same registration code by Azeri cargo carrier Silk Way West Airlines, which is part of Baku-based privately-owned Silk Way Group. Sky Gates Airlines already has a direct agreement with Silk Way Group’s MRO arm Silk Way Technics. The latter services the operator’s other 747-400F at its line maintenance facilities that were opened one year ago at Moscow’s Domodedovo. The carrier’s newly received Boeing comes in a new livery, which resembles that of Silk Way West Airlines. The operator initially planned to add its second aircraft in early 2017, and to have three more freighters delivered before the end of the year. Sky Gates Airlines obtained its air operator’s certificate in September 2016. In early October that year, it started flying its first Boeing 747-400F, which had also been previously operated by Silk Way West Airlines. The operator is supposed to move to Moscow’s new Zhukovsky airport at some point, but the exact date has not been finalized yet. By the end of this year or the begining of 2018, the carrier should also have its in-house maintenance station certified. The operator’s top management has changed recently. The new CEO, Alexander Khmelevskikh, owns 15% in Sky Gates Rus, the founder of Sky Gates Airlines.